Part Number: LCS070 (Ref.Only). Model: PATHFINDER. CRANK SENSORS. Product Type: CRANK SENSORS. Make: NISSAN. Valve(s) Fuel/Body Type KKW/Bhp Drive Engine Code. Date Range: 2005-. Crank shaft ET Engineteam for vehicles Nissan NP300 Navara / Murano III / Pathfinder / NP 300 pickup / Cabstar / pick up / Murano II engines 2.5 DI / DCI type YD25DDTi from BJ 2001 OE: 12200-AD21A, 12200AD210, 12200AD21A, 12200 AD210. Nissan Pathfinder R51 2.5TD (YD25) 01/2005>ON. Part Number - KVA 78159K-2. NAVARA (D22_). NP300 NAVARA (D40). PICK UP (D22). NP300 PICKUP (D22). PATHFINDER III (R51). PATHFINDER IV (R52). MURANO II (Z51). CABSTAR (F24M, F24W). For Nissan Navara D40 2.5TD Pick Up (Year 05/2005 ). Nissan Navara 2005-2014. Crank Position Sensor = Crank Pulley Sensor . Nissan Pathfinder 2005-2014. NAVARA (D40) 2.5 DCI 2006-ON. MURANO (Z51) 2.5 DCI 2010-ON. PATHFINDER (R51) 2.5 DCI 2006-ON. X-TRAIL (T30) 2.2 DI / DCI 2003-2007. 3 PIN CONNECTOR. ENGINE CODE:YD25 Di/DTi/DDTi/DCi 16V DOHC 2.5 LTR DIESEL. FULLY TESTED & EXCELLENT WORKING NISSAN ORIGINAL 0.25 SIZE RE-GRINDED CRANKSHAFT WITH NEW SET OF MAIN & BIG END BEARINGS COMPATIBLE FOR NISSAN D22/D40 NISSAN NAVARA KING CAB, AVENTURA, R51 PATHFINDER, CABSTAR, FRONTIER & BASSARA 2001-12. Nissan Navara (D22). Nissan NP300 Navara (D40). Nissan NP300 Navara Platform/Chassis (D40). Nissan Pathfinder III (R51). Nissan Murano II (Z51). Nissan Pick Up (D22). 2.5 dCi 4WD 120 163 2488. 2.2 dCi 100 136 2184 11.2005 ->. NAVARA (D22_). NP300 NAVARA (D40). CABSTAR (F24M, F24W). PICK UP (D22). NP300 PICKUP (D22). MURANO II (Z51). MURANO III (Z52_). 2.5 dCi 4x4 Diesel 2488 98 133 4 Pick-up 04.2008 - X. For Nissan Pathfinder R51 - 2.5DCI / 2.5TD - YD25DDTi (Year 01/2005 Onwards). For Nissan Navara D40 Pick Up YD25DDTI - 2.5DCI / 2.5TD (Year 05/2005 Onwards). Part Number: LCS397 (Ref.Only). Model: PATHFINDER. CRANK SENSORS. Product Type: CRANK SENSORS. Make: NISSAN. Connecting Angle (Degree) 45. Date Range: 2005-. Valve(s) Fuel/Body Type KKW/Bhp Drive Engine Code. Nissan Navara (D22). Nissan NP300 Navara (D40). Nissan NP300 Navara Platform/Chassis (D40). Nissan Pathfinder III (R51). 2.5 dCi106 144 2488. Nissan Murano II (Z51). 2.5 dCi 4WD106 144 2488. Nissan Pick Up (D22). Driveshaft Center Bearings. NISSAN PICK UP (D21) 2.4 i 12V KA24E 2389 91 4 Pickup 1992-1998. NISSAN PICK UP (D21) 2.4 i 12V 4WD KA24E 2389 93 4 Pickup 1992-1998. NISSAN PICK UP (D22) 2.4 KA24DE 2389 98 4 Pickup 2001-2005. Nissan Pathfinder R51 YD25 2.5L Dci Diesel 2005-2010 Euro 3 & 4 Engine Code : YD25 168 BHP Engine Rebuild Repair Kit -STD Crankshaft -STD Connecting Rod -STD Main Bearing -STD Big End Bearing -STD Piston Rings Quantity : 1 Complete Set All You Need To Repair Your Engine If 1 Big End Has Seized Which Is The Most Common On This Engine! Any Questions Do Not Hesistate To Contact Us Rebuilt Engine Is Also Listed Including Short Motors / Bottom Ends Price Per : £549.99. Part Number: LCS459 (Ref.Only). Model: PATHFINDER. CRANK SENSORS. Product Type: CRANK SENSORS. Make: NISSAN. Valve(s) Fuel/Body Type KKW/Bhp Drive Engine Code. Date Range: 2010-. Length (mm) 75. 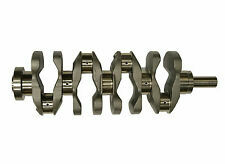 NISSAN NAVARA CRANKSHAFT USED IN GOOD WORKING CONDITION. ALSO FITS A NISSAN CABSTAR AND NISSAN PATHFINDER. You are signing to say you have received the item(s) in good condition. Engine Type: YD22DDTi YD22DDT. CABSTAR (F24M, F24W): 28.12 DCI, 32.12 DCI, 34.12 DCI, 35.12 DCI 2.5 (F24M). CABSTAR (F24M, F24W): 28.11 DCI, 32.11 DCI, 35.11 DCI 2.5 (F24M). CABSTAR (F24M, F24W): 35.13 DCI, 45.13 DCI 2.5 (F24M). NAVARA (D40) 2.5 DCI 2006-ON. PATHFINDER (R51) 2.5 DCI 2006-ON. MURANO (Z51) 2.5 DCI 2010-ON. X-TRAIL (T30) 2.2 DI / DCI 2003-2007. Camshaft Seals. CRANKSHAFT CRANK PULSE SENSOR. Starter Motors. Nissan Navara 2.5 dCi 2006 ->. Nissan Pathfinder 2.5 dCi 2006 ->. Nissan X-Trail T30 2.2 dCi 2003-2007. Nissan Murano 2.5 2010 ->. Driveshaft Center Bearings. Crankshaft Sensors. Camshaft Sensors. OE (Manufacture Part No:)>23731EC01A, 23731-EC00A,23731-AW410. NISSAN NAVARA PATHFINDER CABSTAR MODELS 2.5DCi ENG.YD25DD 2005 ON ALL MODELS. SUITABLE FOR. NOTE:IMAGE FOR ILLUSTRATION O.
NAVARA (D40) 2.5 DCI 2006-ON. MURANO (Z51) 2.5 DCI 2010-ON. PATHFINDER (R51) 2.5 DCI 2006-ON. X-TRAIL (T30) 2.2 DI / DCI 2003-2007. 1 CRANKSHAFT CRANK PULSE SENSOR. Exact fit - No modifications required. Engine Code: YD25DDTi. 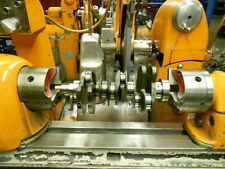 Function Thrust Washer, crankshaft. NISSAN 12280ES60A. NISSAN EXPERT II (W11) 2.2 D Estate Diesel 10/1998 04/2004 FWD 16 114 84. NISSAN BASSARA 2.5 DCi MPV Diesel 11/1999 08/2003 FWD 16 150 110. 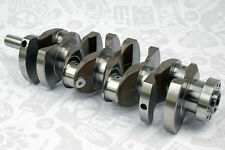 GENUINE NISSAN NAVARA ENGINE CRANKSHAFT D22/D40 PATHFINDER 2.5dCi YD25 WITH BEARINGS WITH CON ROD AND WITH THRUST WASHER. THIS DOES NOT COVER NI, HIGHLANDS AND OFFSHORE CHANNEL ISLANDS. Nissan Navara 2.5 dCi 2006 On. Nissan Pathfinder 2.5 dCi 2006 On. Nissan Murano 2.5 dCi 2010 On. - Nissan X-Trail T30 2.5 dCi 2003-2007. Labour claims are never accepted. Function Sensor, crankshaft pulse. Sensor Type Inductive Sensor. Fitting Depth 47 mm. 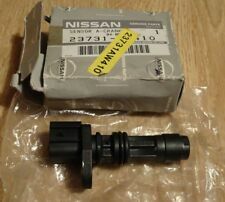 NISSAN 237315X20A, 2375000Q0L. Connector Shape angular. NISSAN MICRA III (K12) 1.5 dCi Hatchback Diesel 09/2003 06/2010 FWD 8 82 60. Part Number: VE363195 (Ref.Only). Model: Pathfinder. 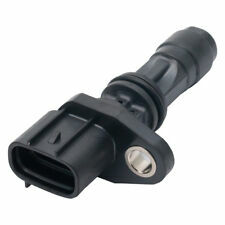 Product Type: CRANKSHAFT SENSOR. NISSAN Pathfinder 4.0 6Cyl 24V 269Bhp 198KW Petrol 3/2007-8/2014 Automatic 5 speed VQ40DE. Make: NISSAN. We have an excellent reputation for providing fast efficient service before and after sale. Blue Print Pulley For Crankshaft Nissan Cabstar Frontier 4WD Navara Pat ADN16132 - Free Delivery from Simply Car Parts - Brand New BluePrint part - 3 Years Manufacturers Warranty. Lucas Oxygen Sensor. Each unit undergo's strict testing to ensure parts are of OE specification at our in-house facility. Lambda Sensors. Spark Plug Tools. Glow Plugs. Spark Plugs. DIY Car Service Parts. FOR NISSAN PATHFINDER R51. This is an original quality part manufactured by Elring. Radial Shaft Seal Design:AS. Dust Cover:with dust lip. Material:FPM (fluoride rubber). Vehicle compatibility. NISSAN 12280ES60A. Crankshaft Thrust Washer Pad A308/2 STD Glyco. 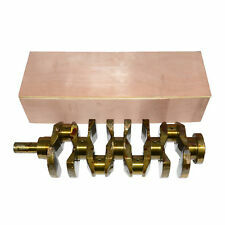 Function Thrust Washer, crankshaft. Part Number A308/2 STD. Standard Size STD. Glyco advanced engine bearing technologies withstand heavy loads and cope with the increasingly challenging conditions of modern engines. ENGINE CODE:YD25 Di/DTi/DDTi/DCi 16V DOHC 2.5 LTR DIESEL. COMPATIBLE FOR VARIOUS MODELS OF NISSAN FITTED WITH ABOVE ENGINE SPECIFICATIONS. WE ARE ALSO NOT RESPONSIBLE FOR ANY LABOR EXPENSES, TOWING EXPENSES OR RENTAL CAR EXPENSES CAUSED BY THE USE OF WRONG OR DEFECTIVE PARTS DURING INSTALLATION. NAVARA (D40) 2.5 DCI 2006-ON. MURANO (Z51) 2.5 DCI 2010-ON. PATHFINDER (R51) 2.5 DCI 2006-ON. X-TRAIL (T30) 2.2 DI / DCI 2003-2007. 1 CRANKSHAFT CRANK PULSE SENSOR. PICK UP (D22) 2.5 DI 2008-2010.